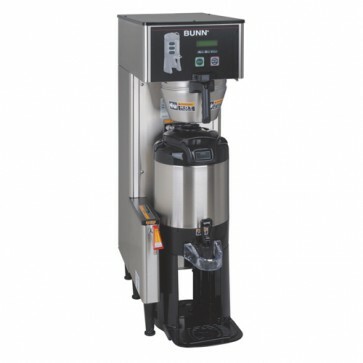 More high tech than Sputnik, the BUNN BrewWise Single TF DBC Commercial Coffee Maker will have folks orbiting around the urn in search of more galactically good coffee. It has advanced functions to intelligently communicate with compatible BrewWISE grinders like the BUNN G9 2 HD. Brew what you need when you need it with 1/2 gallon, 1 gallon, or 1.5 gallon batches. No need to go to a galaxy far, far away to get tomorrow's coffee technology today.